The International Trade Fair for Amenity Areas, Sports and Pool Facilities FSB is back for 2013! Held in Cologne, Germany, national and international leaders from the sectors have registered and are participating in the event. The FSB is the leading trade fair for sports and pool facilities, as well as amenity areas. According to Katharina C. Hamma, Chief Operating Officer of Koelnmesse GmbH (the organizing group), “Visitors and exhibitors profit equally from the extended range of opportunities for communication and business”. The FSB will be open to visitors from today through Friday, so it’s not too late to swing by! See us today until 6:00 pm, tomorrow from 10:00 am to 6:00 pm, and on Friday from 10:00 am to 4:00 pm. 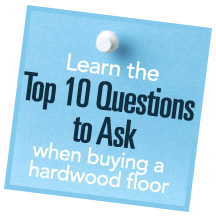 If you cannot attend but would like more information from Horner about the hardwood athletic floors we have, please visit our website! 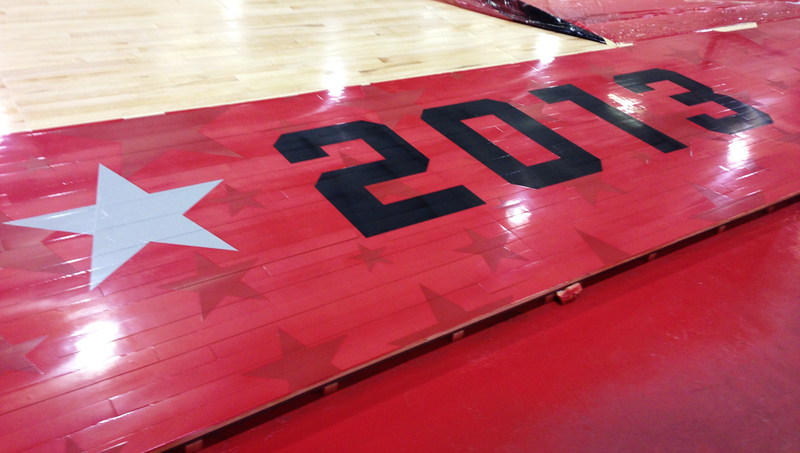 We were honored to provide the floor for the 2013 NBA All-Star game. 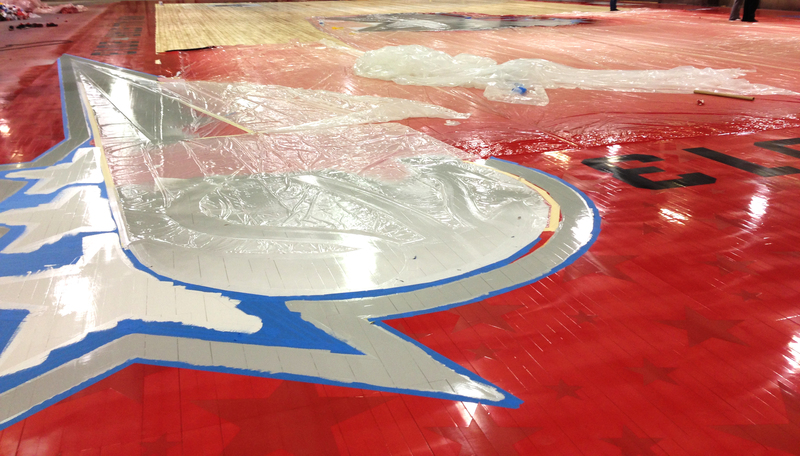 This year marks the 28th consecutive year that we have supplied the NBA All-Star game’s floor. Thanks to everyone who makes the incredible event possible! 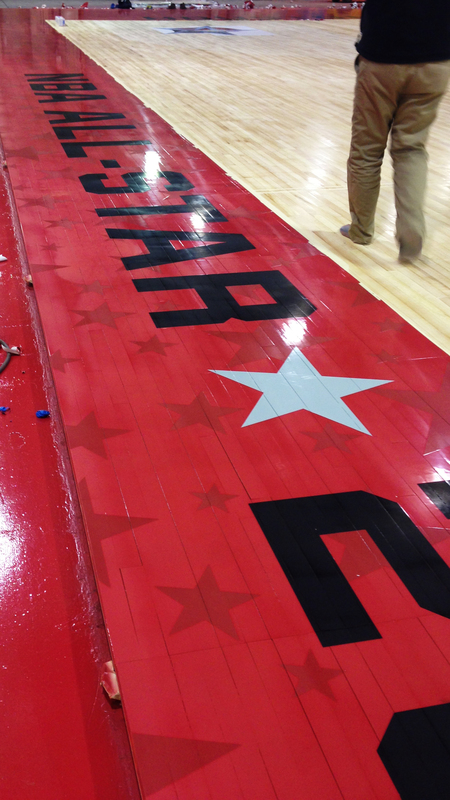 Horner is one of the nation’s leading manufacturers of maple athletic flooring systems, we are proud to provide multiple permanent and portable athletic maple flooring solutions for all applications ranging from the 2012 NBA All-Star game floor to elementary, middle schools, high schools and colleges across the country. As a small family owned business located in Michigan’s Upper Peninsula, we continue to be driven by our committed workforce and product innovations. 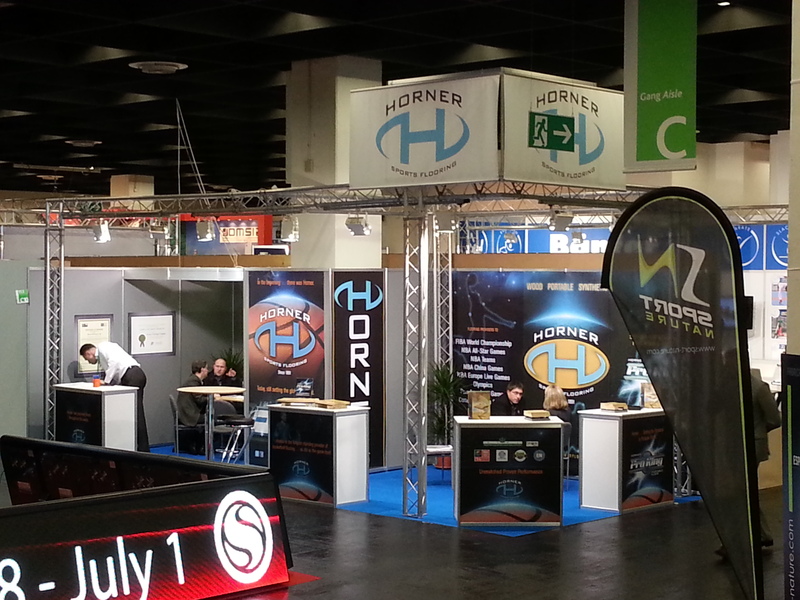 Over half the games during the NBA season are played on a Horner Pro-King portable basketball floor system. Known for it’s lightning fast installations, the Pro-King is a floor of choice for arena managers all over the world. We’re always willing to go the extra mile for our customers. 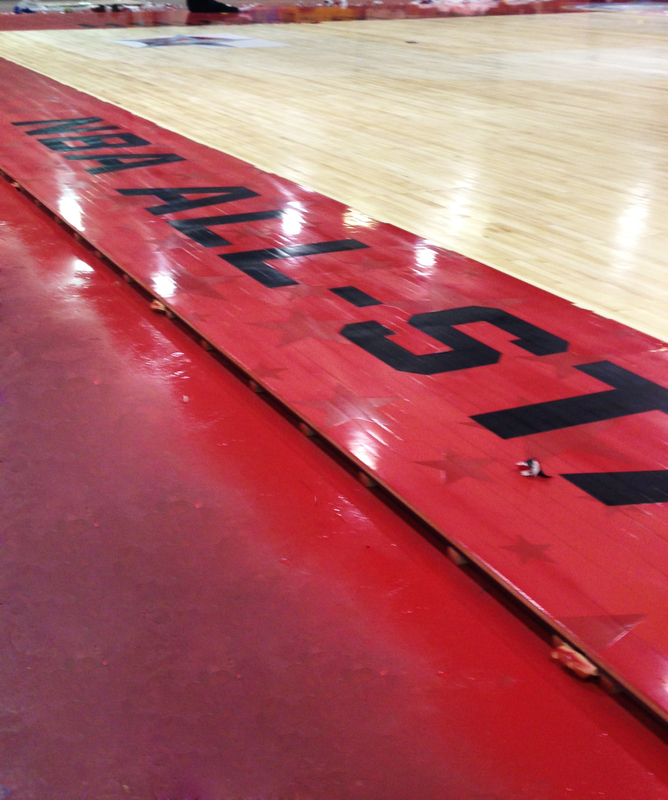 This year we called in a back up crew to help us out with the details of the NBA All-Star floor. Thanks to our talented crew for lending a hand! This floor had incredible details! You can see just how intricate the detail work was in our exclusive, behind the scenes photos! We always enjoy creating our floors, but this was an especially fun floor because of the unique design. 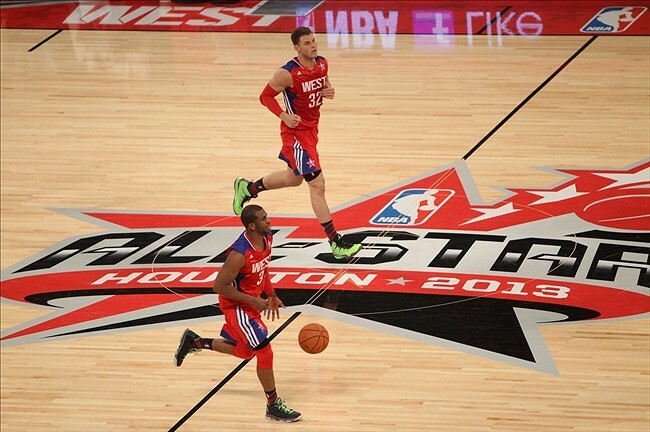 Thanks to everyone who made the 2013 NBA All-Star game possible!